For the past week or so we have been treated to starling murmurations at dusk as thousands of starlings fly over the farm heading north - this is the first time I can remember this happening here. So far this is the best photo we've got, taken one hour ago as I was measuring out the footprint of our to-be-constructed propagation polytunnel. We are very pleased to report that there are now plenty of eggs for sale at the farm (in our shop and on the gate, as well as at farmer's markets when they start up again in the New Year). 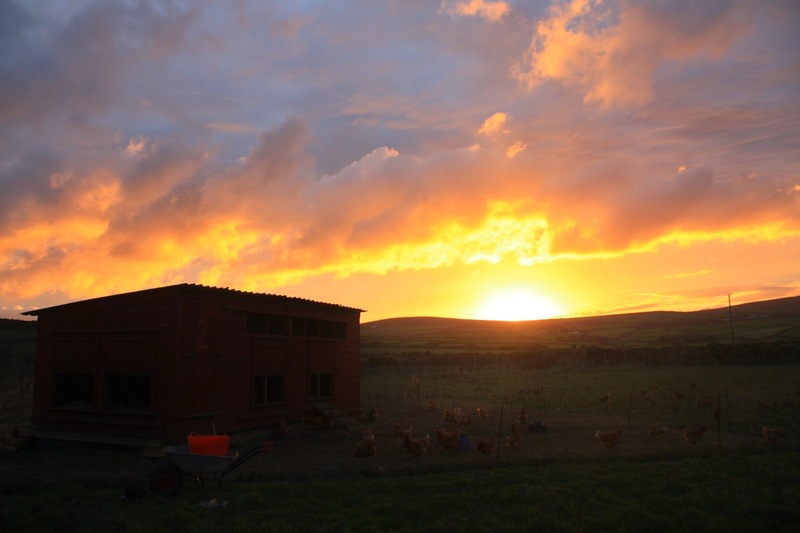 We apologise for the lack of eggs that plagued us through October and November, due to the onset of winter clashing with repairing and moving the chicken sheds - our old birds couldn't handle all that upheaval, and the new brood hadn't started laying yet. All these issues are now resolved, and we are collecting around 130 eggs a day. Lots of lovely eggs for sale in the shop today. Many many thanks to Yaewool, from South Korea, for volunteering on the farm over Christmas week (especially for the Korean food on Christmas Day!) - we hope you successfully made it through the "transport chaos" to get back upcountry today. Dawn over the farm whilst heading to the chicken sheds on Christmas morning. Beautiful weather on Christmas Day! Two of us harvested most of the veg needed for our Boxing Day delivery of veg boxes, with time for some repairs to brassica netting and chicken shed windows before dusk. 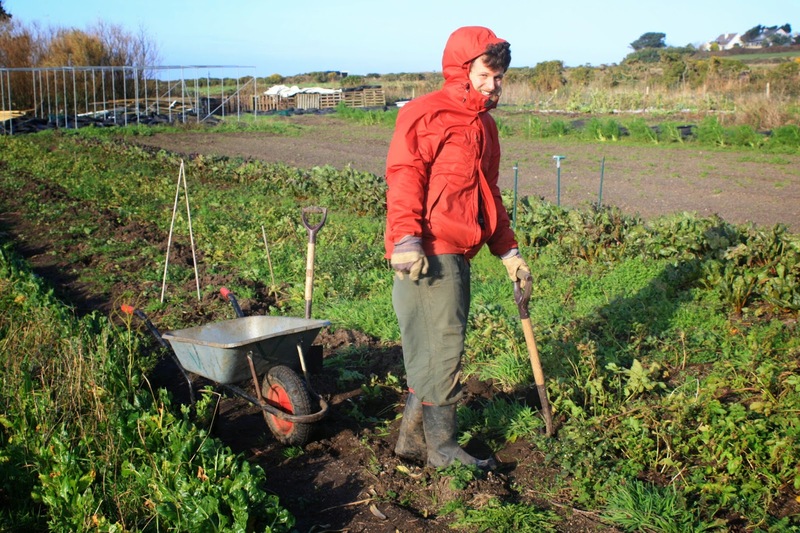 Then on Boxing Day we harvested salad before delivering veg boxes as far afield as Penzance, followed by some weeding in the polytunnels. A special mention must go to Yaewool, our wwoofer from South Korea, who helped all week with only Christmas Eve off, and 3 local volunteers who came down on Christmas Day and Boxing Day mornings to help collect and process eggs - plus 2 other local volunteers who called round with gifts of shortbread and buck's fizz! Bosavern Community Farm would like to wish all its volunteers, supporters, customers and friends, both past and present, a wonderful Christmas and a very happy New Year 2015 (and thank you for your continued support). Merry Christmas from our chickens! Many thanks to Pierre and Iona, from Brittany (near Concarneau which is twinned with Penzance! ), for their help during 10 days as WWOOF volunteers on the community farm - and also our best wishes for Christmas and 2015. 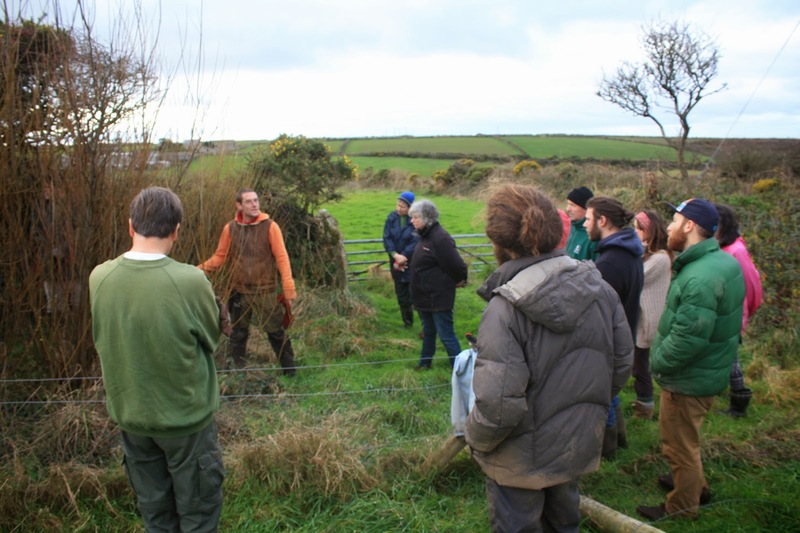 Yesterday, Tuesday 16th December, we held our 4th coppicing workshop on the farm, in association with Greg Humphries (local woodsman and artist) and the Wild Penwith Volunteers from the Cornish Wildlife Trust. Several farm volunteers also helped, so we fielded a team of 15 people and got far more done than we expected. Greg explaining the principles of coppicing to the group. 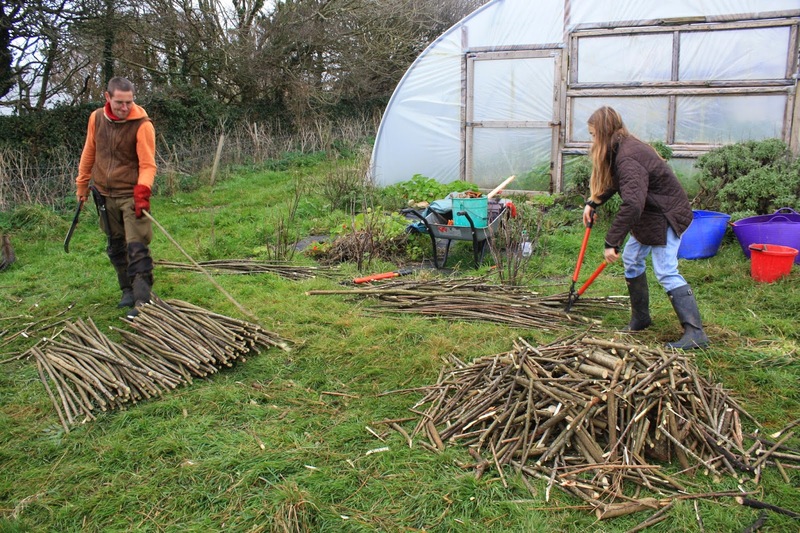 In the winter of 2010-11 we coppiced the back line of the three lines of willow windbreak along the south side of the market garden, and now after 4 years growth it was time to coppice it again. The line of stumps after coppicing at the rear of the windbreak. 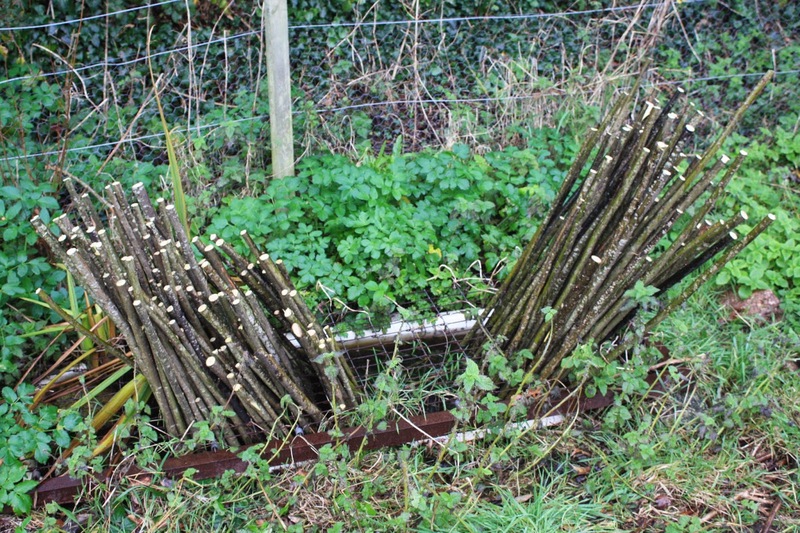 After coppicing the willow, the offcuts were sorted and processed (known as "snedding") into three products - 3-foot-long thumb-thick straight withies for re-planting in spring; foot-long lengths for stacking and seasoning for next winter's woodfuel; and a pile of reject brash for leaving to rot as a wildlife habitat in the field. Cutting withies (left) and woodfuel (right). Two lengths of withy soaking in our pond ready for planting come spring. 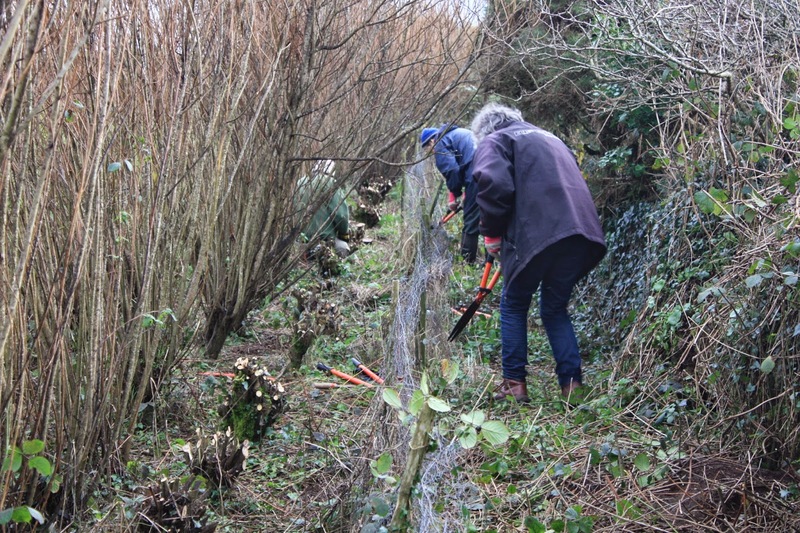 After the coppicing and snedding was complete, with time to spare and fueled by mince pies, we cleared around the willows planted around the market garden to free them from grass and bramble, to give them a better chance of survival. A very productive day! Many thanks to all who came along, and especially to Greg and David for their expertise and organisation. Then we will be returning to our normal Wednesday to Sunday inclusive 11am till 6pm. 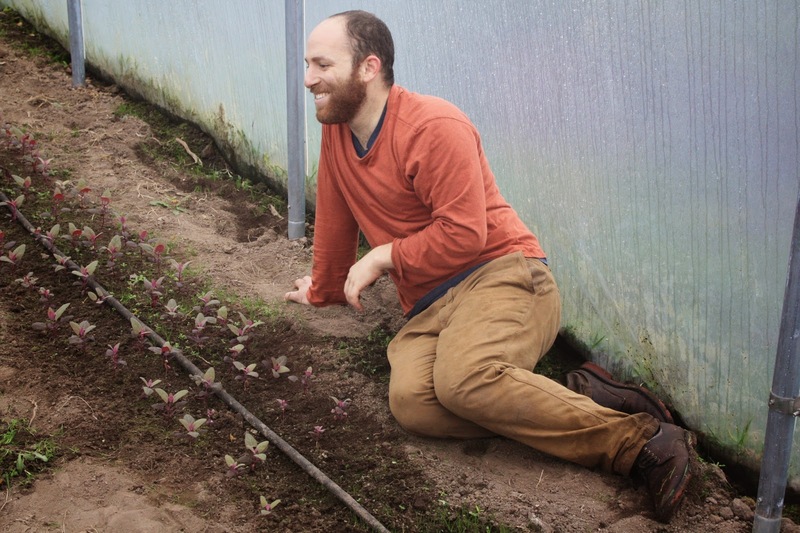 Many thanks to Dominic, from the Black Forest in Germany, who left today after 5 weeks as a wwoof volunteer on the farm. 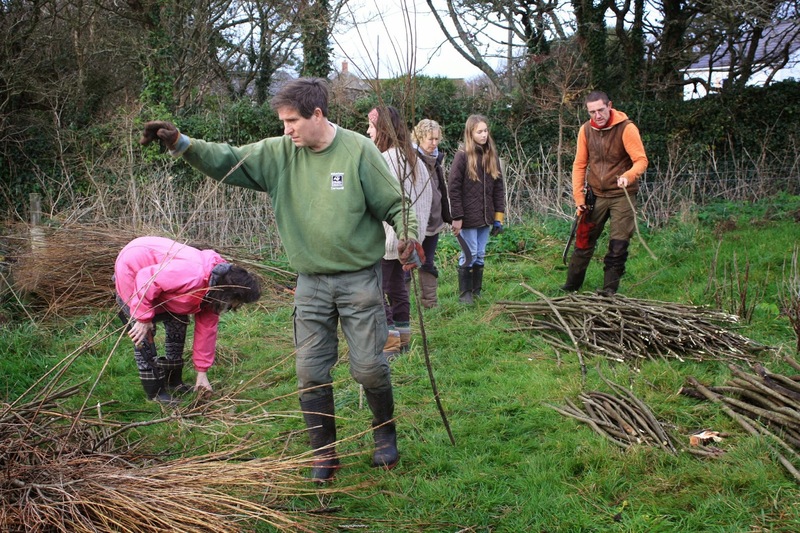 Have a great Christmas back home and enjoy your new wwoofing experiences in the new year. 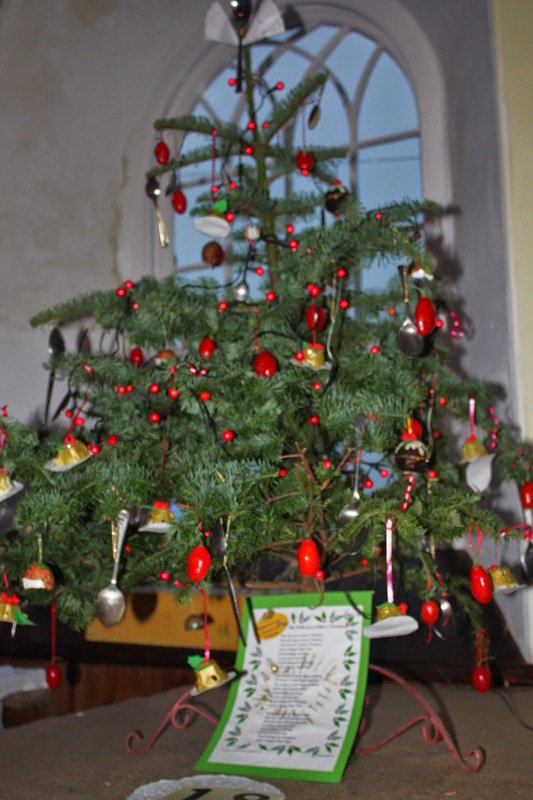 For the third year running a group of volunteers from the farm have decorated a tree in St Just Methodist Chapel, which is one of many trees available for viewing from 1 till 7pm until December 19th. This year's theme is Christmas Music, and our tree is based on We Wish You A Merry Christmas....including miniature figgy puddings made by children at our recent Advent Celebration. Saturday 13th December saw historic Chapel Street in Penzance closed to traffic for the day for a 1940s and 50s themed Christmas market. 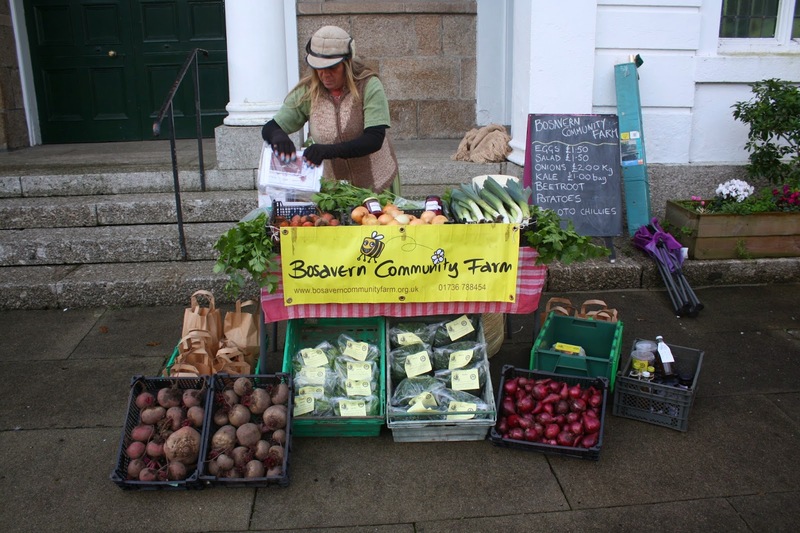 Bosavern Community Farm took a range of produce along - veg, eggs, honey, herbal tonics and Christmas cards of the farm - and joined the producers at Chapel Street Producer's Market. Many thanks to Deb for running our stall, and for all the people who came along to support us (and help us to carry things back to the van afterwards!). 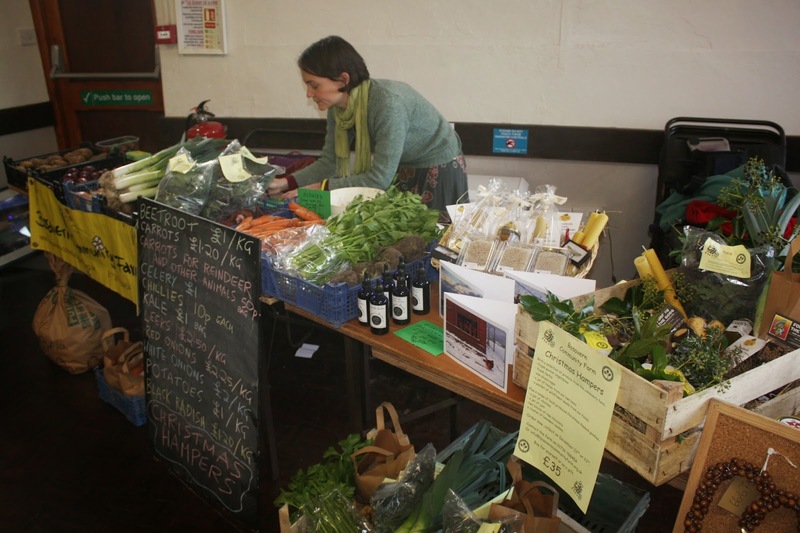 Chapel Street Producer's Market began this year and runs from 9am till 1pm on the second, third, fourth and fifth (if there is one) Saturdays of the month outside the Methodist chapel - Saturday 20th December will be their last until February though. Find more information on their facebook page. 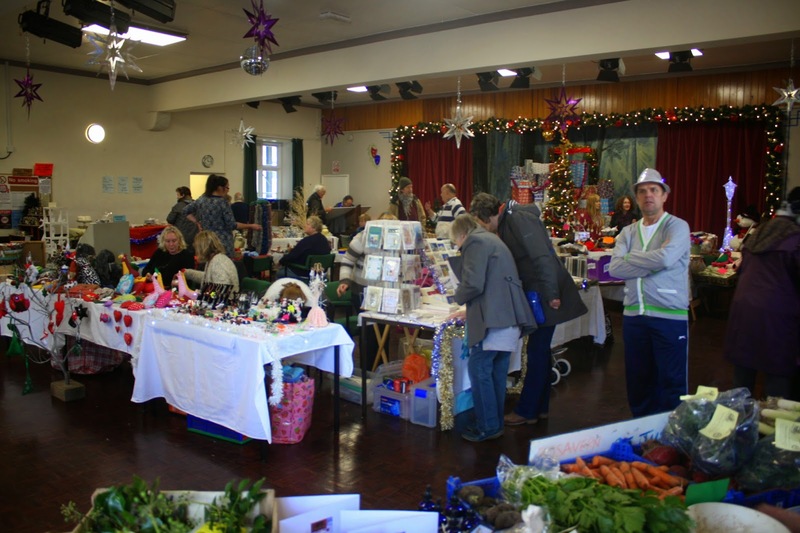 On Saturday 6th December the farm had a stall at St Just Christmas Fair - thanks to Alice for running the stall and making it look so inviting. The old town hall looking very festive. 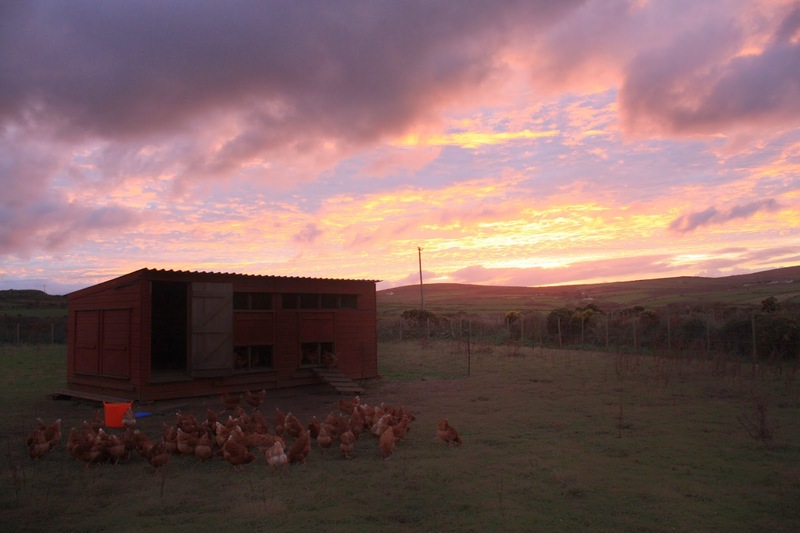 Dawn at the chicken sheds. Many thanks to Alberto and Sarah, from Madrid, for their 10 days or hard work on the farm, and the amusing card they left behind! We wish you all the best back in Spain and hope to see you again in the future. 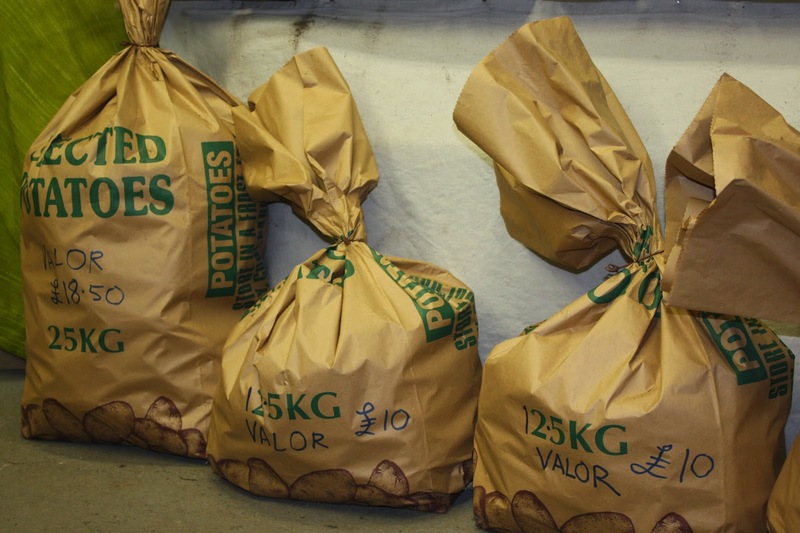 We now have sacks of our own Valor potatoes for sale in the shop, priced at £10 for 12.5kg and £18.50 for 25kg (normal price is £1 per kilo). 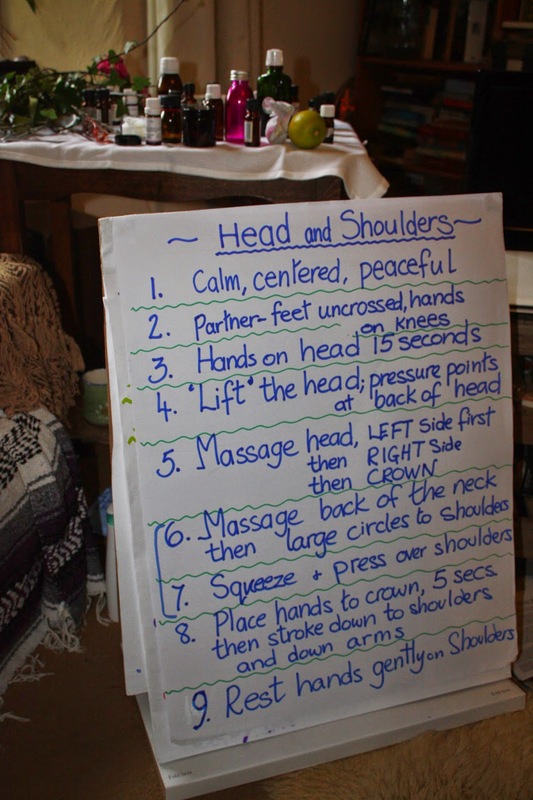 Today, four lucky ladies cosied up around the farmhouse fire and enjoyed a day of Aromatherapy and Massage Techniques with our very own Alternative Therapy Workshop leader Isobelle. We learnt about the effects and use of many different oils, smelling and discussing each one. After a delicious shared vegetarian lunch, Isobelle imparted some hand massage and head, neck and shoulder massage techniques, which we then took in turns to indulge our partners with. 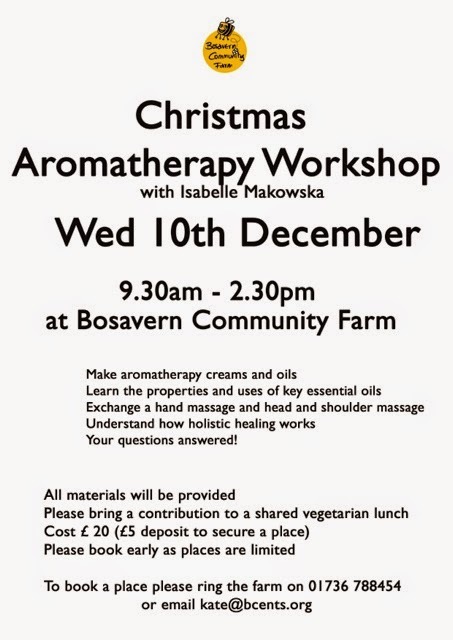 We then put into practice our newly found knowledge and each chose oils to make our own pot of Aromatherapy massage oil which we could take home with us. 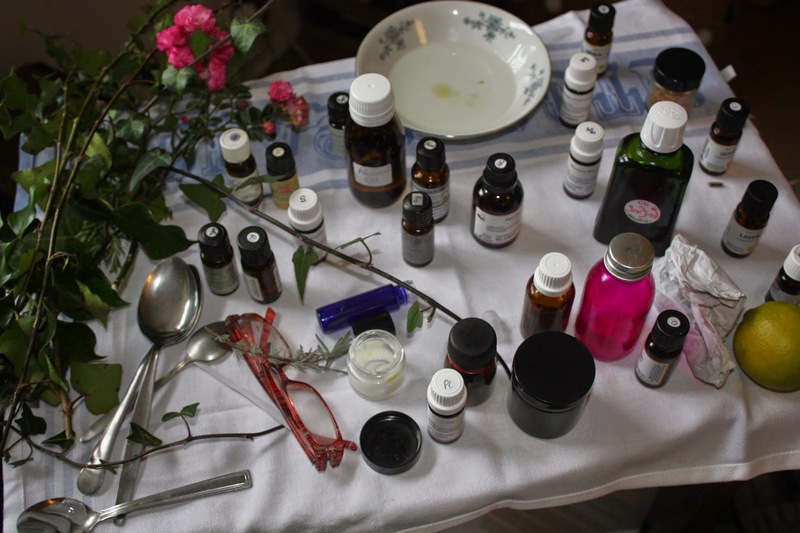 By the end of the day everyone had found at least one or two oils which they felt they could relate to and would like to start using in their every-day life . 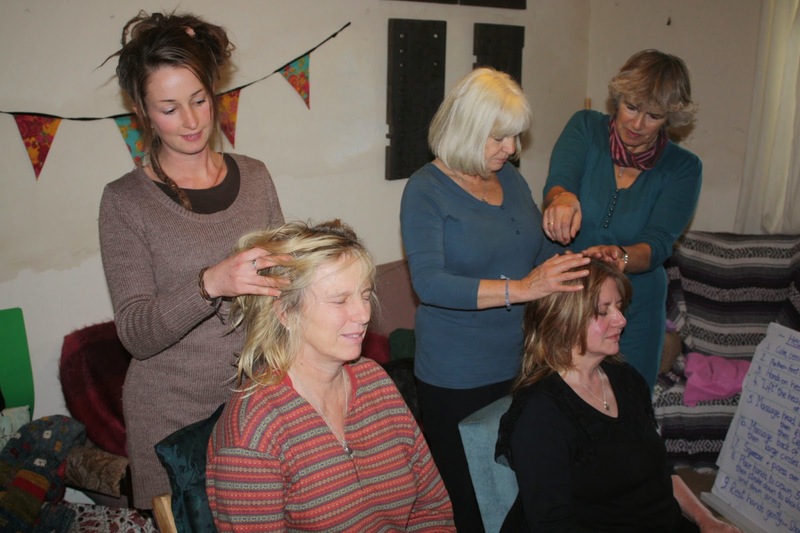 A lovely time was had by all and there was much talk of further Alternative Therapy workshops being run at the Farm. Keep a look out for posters in the New Year and do come and join us! Thanks Isobelle and all those that came! 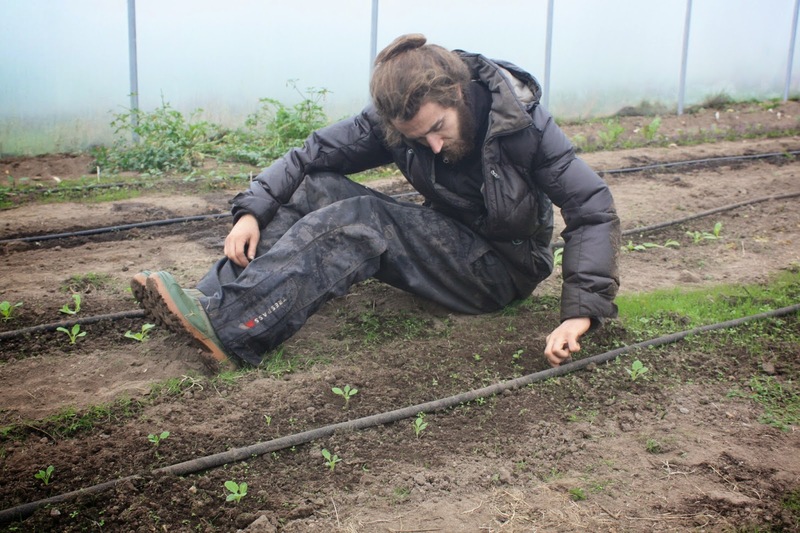 The farm would like to thank Boris, from France, for his valuable input during one month as a WWOOF volunteer with us, and wish him all the best for his onward experiences. 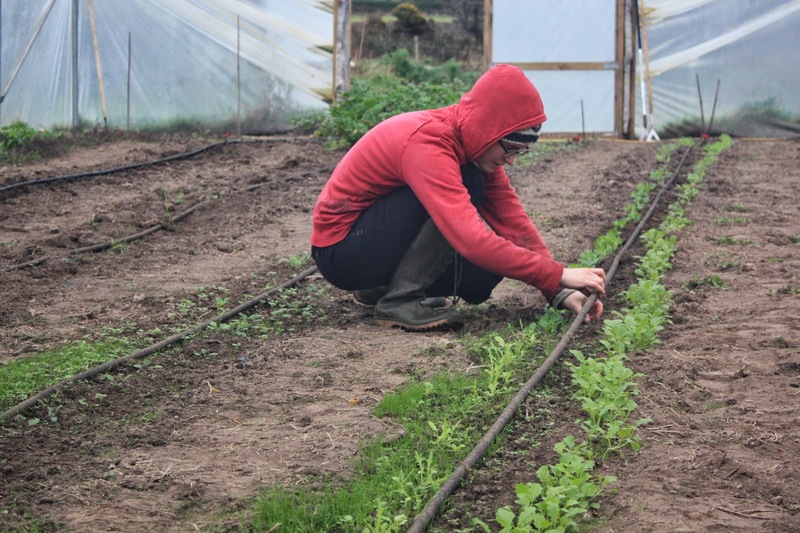 Boris digging parsnips in the market garden last week.